The month of January is wasting no time in living up to its cold reputation. Cold, arctic air has already invaded the Northern Rockies and the Northern Plains. 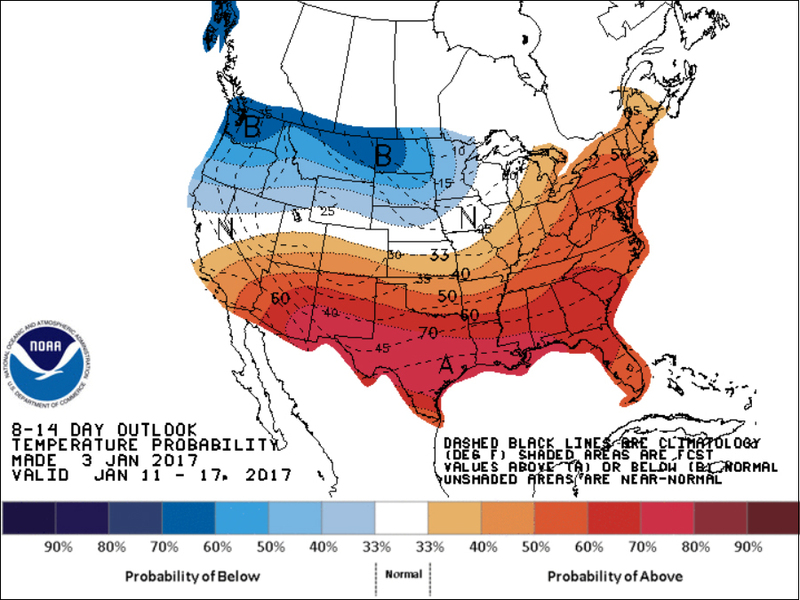 By the end of the week, the arctic chill will spread into the Midwest, Northeast and even the Southeast. 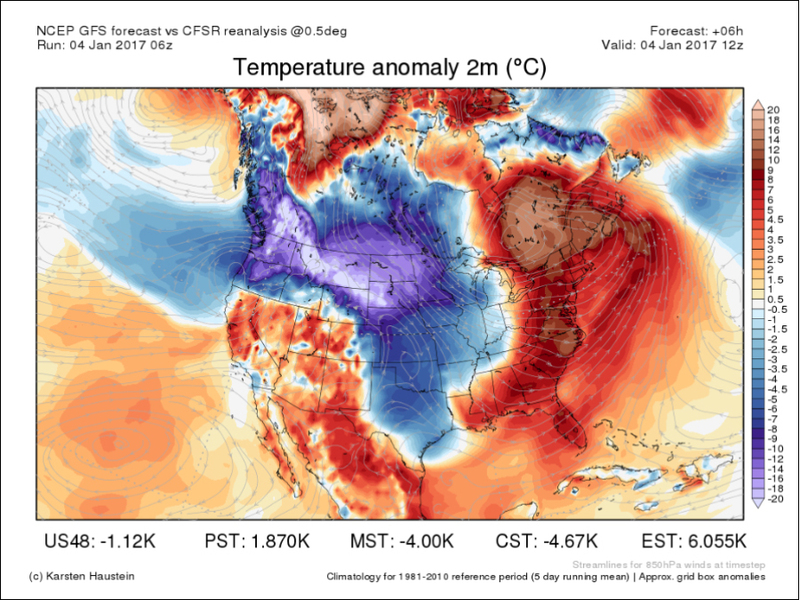 That means the first full weekend of 2017 is going to be colder than usual for everyone living in the United States — unless you manage to escape to a few spots in the Southwest, which will see a resurgence of warm air by Sunday. All this cold air is going to allow for some accumulating snowfall across the country in places that haven't seen much snow yet. 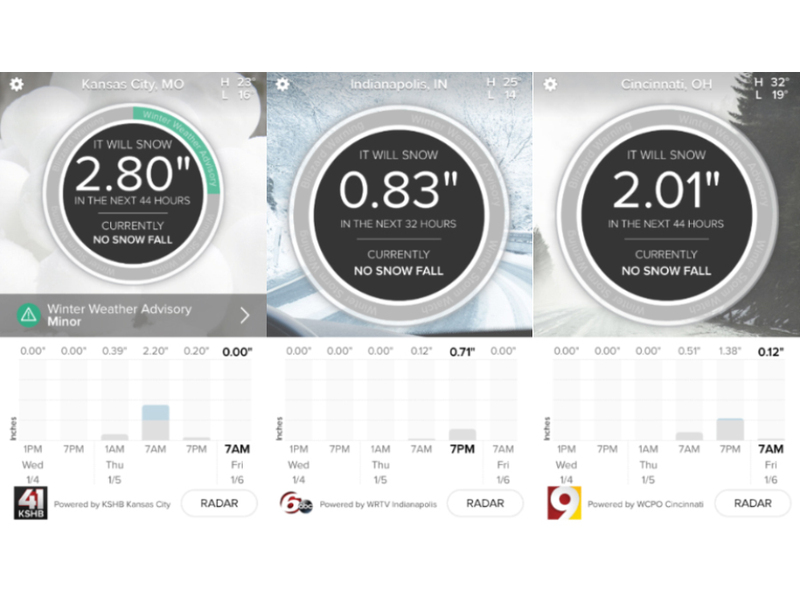 According to the SnowCast App , the snow will fall from Denver to Kansas City and St. Louis, and eventually into the southern halves of Indiana and Ohio as well as northern Kentucky. 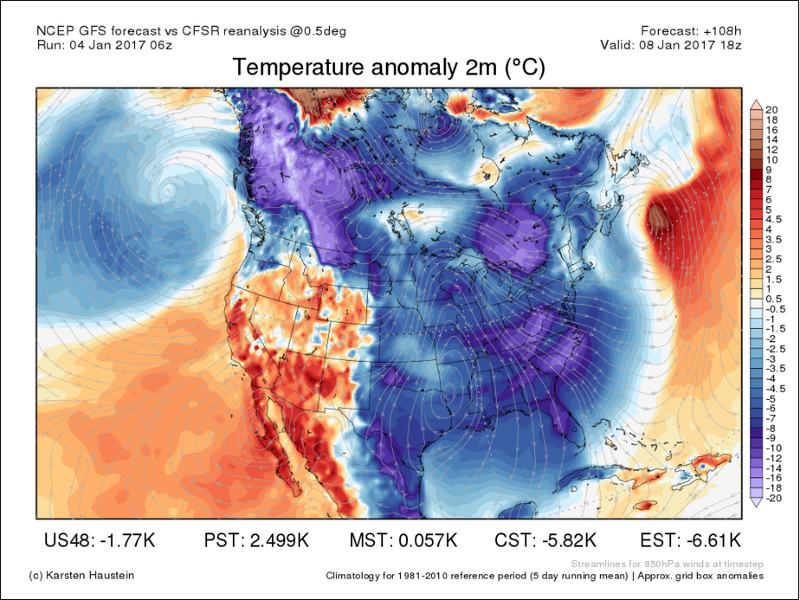 With the exceptions of the Northern Rockies and the Northern Plains where the cold air originated, it appears the cold air is only briefly temporary with milder air returning within a week or so to most of the country. So far, this winter appears to be living up to its forecast.